Used the snow as an excuse to layer only two colors, white and green. Tried to vary textures and create a depth of field by overlapping and layering. Overall, not overly thrilled with the result visually. But, as often happens with these sketches, the exercise taught me several things! 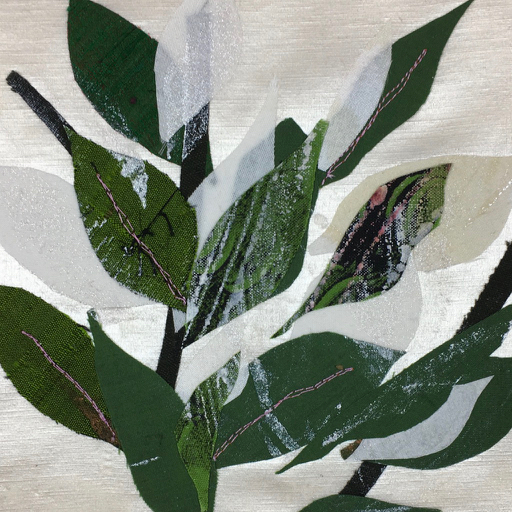 Day 20: Cotton, silk, hemp/silk, prints, paint, oil stick, free-motion stitching.